Metal as Hell! Indeed! Fatality are a full throttle, thrash metal assault to the ears. 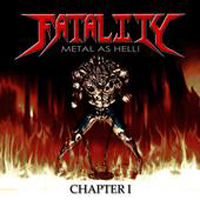 Fatality hail from Ireland and are yet another band in the growing hordes of thrash metal purists. 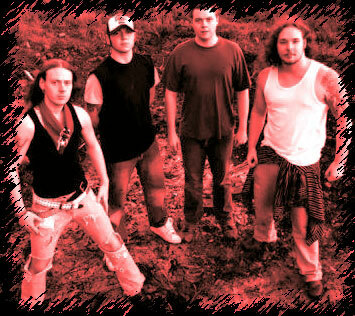 Ireland also offers up Gama Bomb, who also have a retro thrash metal sound. However, Fatality offer a tighter sound more influenced by the Bay Area bands of the late 80's. If these guys aren't fans of Death Angel, Testament, Exodus, Slayer, Forbidden and early Megadeth, I'd be surprised. However whereas many from the current crop of retro-thrash bands seem to lack individuality, Fatality offer a sound that is indeed have a quality sound that is immediately recognizable without sounding like a clone of any one particular band. What they share with bands like Evile, Fueled by Fire and Gama Bomb is the punk delivery of the songs. "Grifface" in particular stands out as a song that has that raw, punk delivery. Of course what would thrash be without speed? For the most part, the speed is there although it is intermixed with some small amounts of groove and mid-paced riffs. Personally I prefer for thrash bands to mix it up a bit like this. Speed for speeds sake can get tedious and boring after a while. Guitarists Tom Morrison and Steve Wilson offer up some fast and furious guitar solos. One song that doesn't fit into the thrash metal mold is "Are You Ready to Rock?! ", which is listed as a bonus track. This song is party anthem that sounds like it is a cover of an 80's band out of L.A. However, I believe this is an original song. It's actually a whole lot of fun and cool way to finish off the album. Bands like Nuclear Assault and Anthrax use to include oddball songs like this all the time and I always enjoyed them, and this song is no different. The vocals are spat out rapidly with an arrogant hiss, much like a young Dave Mustaine or Mille Petrozza. Lyrical themes include fighting, gambling, and the current heavy metal scene. It's amazing the quality that independent bands are releasing these days. Fatality's production is heavy and raw with every instrument clearly heard. They have obviously gone for a retro production soundl. "Metal as Hell" sounds as if it could have been recorded in the late 1980's at the height of thrash metal hysteria. Whereas many bands seem to have that digital, "recorded on Pro-Tools" sound, Fatality's "Metal as Hell" has a warmer, raw sound that works well for them. Actually, I'd love to have this release on vinyl. I bet it would sound even better.